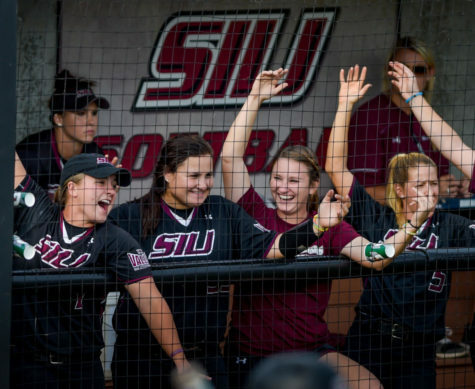 SIU softball continued its fall season with a doubleheader on Saturday at Charlotte West Stadium, defeating the Saint Louis Billikens 3-2 in game one and losing to the Murray State Racers 3-1 in game two. The Salukis were in store for a battle in the first game against the Billikens. Junior starting pitcher Briana Jones started things off with a three-up-three-down top of the first inning. 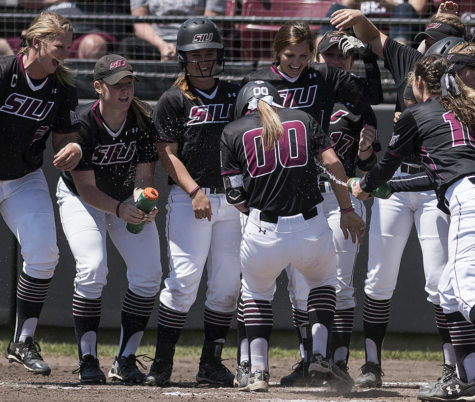 SIU’s offense was unable to get things going in the first, primarily due to sharp opposing defensive play. Sophomore second baseman Maddy Vermejan led off the inning hitting a rope towards left field, but Saint Louis’ third baseman snagged it out of midair for the first out. Senior third basemen Sydney Jones reached base via walk, but was stranded in the inning. Both teams went down quietly in the second inning before SLU put the first runs on the board in the top of the third, aided by a Southern error, to take a 2-0 lead. The Salukis used small ball to get on the board in the bottom of the third. 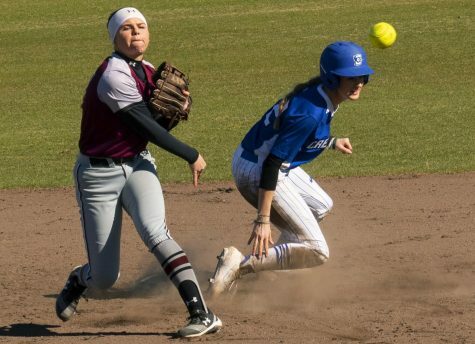 Senior shortstop Savannah Fisher reached on a fielder’s choice and advanced to third on an errant throw by the Billikens catcher trying to catch her stealing second base. Vermejan walked to reach base before executing a double steal perfectly, as Fisher narrowly missed the tag by the catcher to earn the first run of the game for Southern and cut into Saint Louis’ lead 2-1. Brianna Jones held SLU scoreless in the fourth and fifth, keeping the game within reach for Southern. The Salukis took control in the bottom of the fifth, as Decker got things started with a leadoff double before Vermejan and Sydney Jones worked walks to load the bases with two outs for sophomore catcher Katelyn Massa. Massa delivered with a two-RBI single scoring Decker and Vermejan, giving SIU a 3-2 lead. Briana Jones continued her stellar pitching to erase any thoughts of an SLU comeback, allowing one run on six hits and two walks while striking out six in her complete game win. Massa finished the game 2-for-3 with two RBIs while throwing out two potential basestealers. 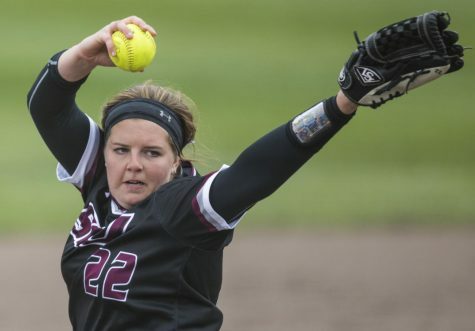 Senior starting pitcher Savanna Dover toed the rubber for the Salukis in the second matchup Saturday. Murray State was aggressive early at the plate, scoring two runs on four hits to take a 2-0 lead in the first. As Murray State starting pitcher Haven Campbell kept SIU off the scoreboard, the Racers added another run in the top of the fourth inning to widen their lead 3-0 over the Salukis. 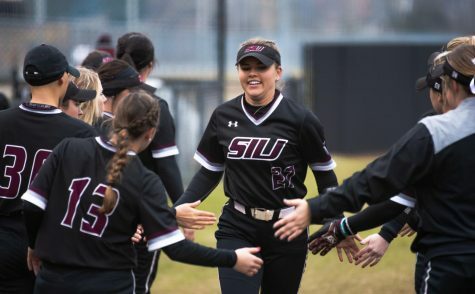 That was the last run SIU’s Dover allowed, finishing her performance with 5.1 innings allowing three runs (two earned) on 10 hits and two walks while striking out three. Freshman pitcher Megan Brown relieved Dover to close out the sixth inning, keeping it a 3-0 score in favor of Murray State. Sophomore right fielder Susie Baranski led off the bottom of the sixth for the Salukis with a double. 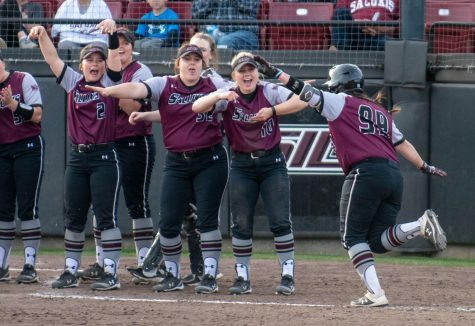 She advanced to third on junior left fielder Eriyka Brandenburg’s fly-out before scoring SIU’s first run of the game on Vermejan’s sacrifice fly to make it a 3-1 game in favor of the Racers. Brown posted a one-two-three inning in the top half of the seventh to keep it a two-run game heading into Southern’s last at bat. SIU put one runner on base in the seventh as Decker worked a walk. Senior infielder Haley Andrus was called upon to pinch hit for the Salukis and came through with a single into left field to put the tying run on base and bring the winning run to the plate. The Salukis were unable to capitalize on the pressure put on the Racers, ending the game with a strikeout to drop the second game of the doubleheader to Murray State 3-1. 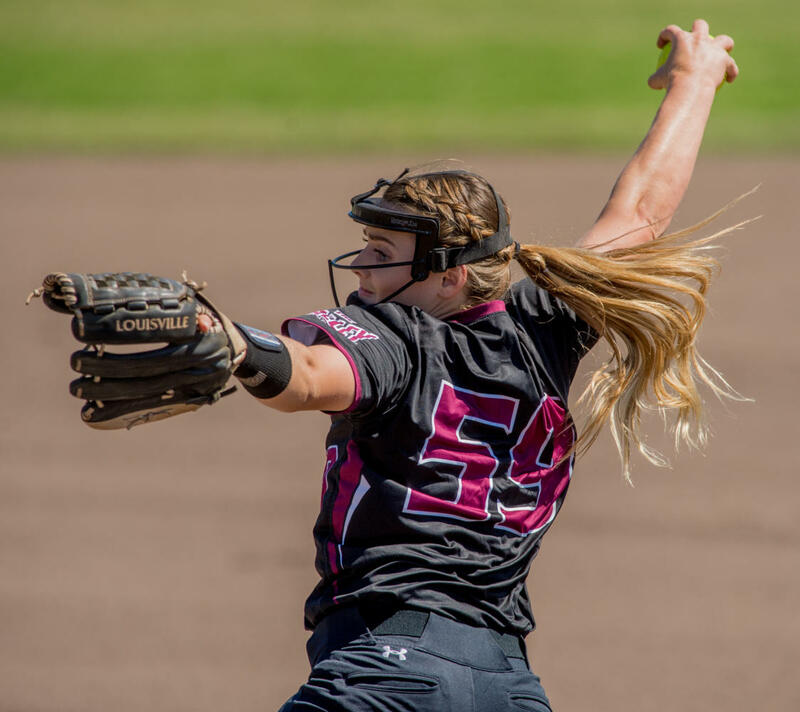 The Saluki catchers, Massa and freshman Shelby Hodo, each threw out two runners in their respective games. Massa went 0-for-3 in the second game after batting 2-for-3 with two RBIs in the first game of the day. 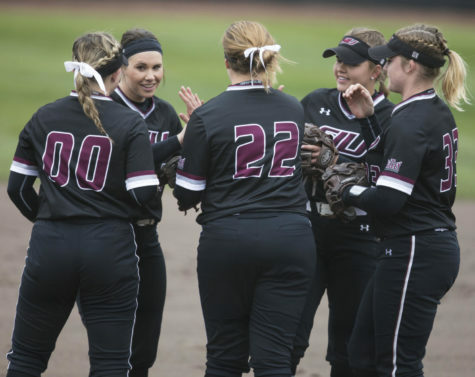 The Saluki pitchers kept SIU within reach of winning both games. 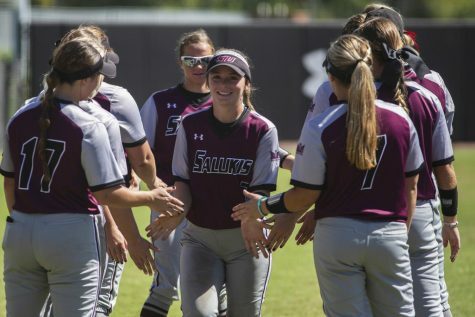 Briana Jones pitched out of several situations with baserunners in the first matchup to keep the Salukis within one run until they eventually took the lead. 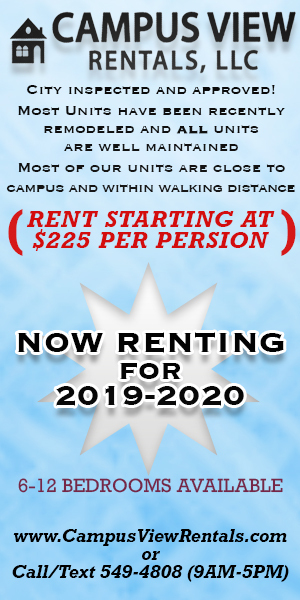 Dover did much of the same for SIU, as did Brown. 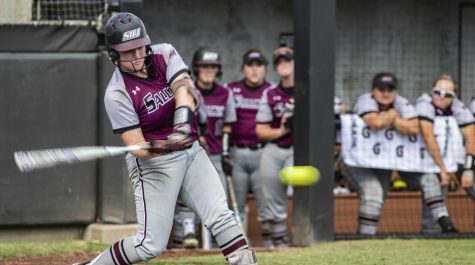 The Salukis switched up the lineup in the second game, moving players into different positions as well as different spots in the batting order as coach Blaylock wants the team to become comfortable playing somewhere they may not be necessarily used to. SIU (3-1) takes on the Lake Land College Lakers and the University of Missouri-St. Louis Tritons next Saturday at Charlotte West Stadium as part of another midday doubleheader. Game one against Lake Land is scheduled for 12 p.m., with game two against the Tritons to begin at 4 p.m.